A nearly 300-year-old Stradivarius violin stolen from Henry and Leigh Bienen School of Music lecturer Frank Almond was found. Three people have been arrested in connection with the theft. A nearly 300-year-old Stradivarius violin stolen from Henry and Leigh Bienen School of Music lecturer Frank Almond has been found in good condition, Milwaukee Police announced Thursday. The violin’s discovery comes just a day after police announced the arrest of three people in connection with the theft. The instrument was found Wednesday in a suitcase in the attic of a residence on the east side of Milwaukee, Police Chief Ed Flynn said at a news conference. 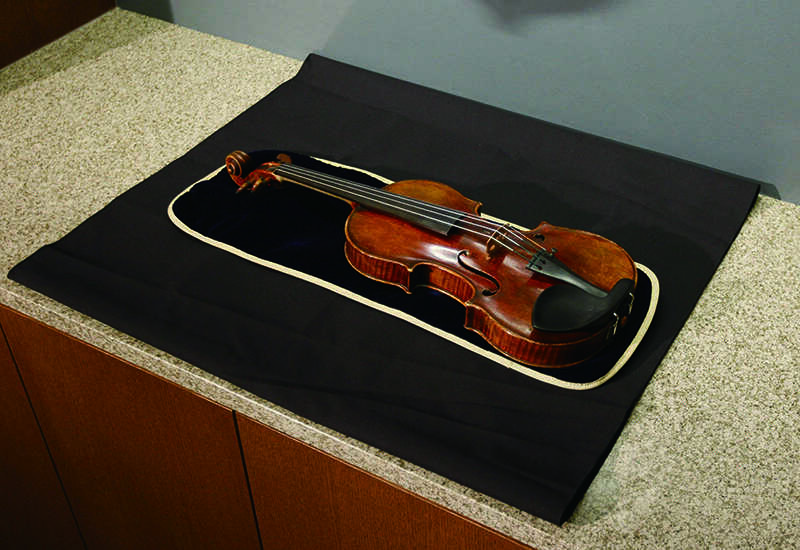 The violin, known as the Lipinski Stradivarius, was taken from Almond on Jan. 27 as he was leaving a concert he played at Wisconsin Lutheran College. While walking to his car, Almond was shocked with a taser and fell to the ground. An anonymous owner lent the violin to Almond, who is the concertmaster of the Milwaukee Symphony Orchestra. At the news conference, investigators said the violin, which was made in 1715, was recovered safely. Police do not yet know the motive but they believe the three people arrested were acting alone. “We have not as yet, working with our federal partners, developed any information that indicates there was some scheme involving nefarious third parties of shadowy art crime organizations,” Flynn said. Police worked with the FBI Art Crime Team and Taser International to help located the individual who purchased the stun gun used to attack Almond. This, along with an anonymous tip, helped police identify the suspects. One of the suspects has a previous history of art theft. Salah Jones, who is currently in police custody, was convicted of stealing a $25,000 statue from a Milwaukee hotel in 1995. Almond has taught at NU since 2010. He will leave later this year to join the faculty of Chicago College of Performing Arts at Roosevelt University, according to his website. He posted a message on Facebook account Thursday calling the news “unbelievable” and thanking the Milwaukee Police Department and others involved in helping to solve the case.